On 9-10 September 2015, Jim Enright, Asia Coordinator and Mery Christina Nainggolan, MAP Intern from Indonesia, attended a mangrove conservation consultative meeting and study trip in Bangkok. MAP-Asia was invited by Southeast Asian Ministers of Education Organization Regional Center for Archaeology and Fine Arts (SEAMEO SPAFA) to participate in a consultative meeting and study visit to Khlong Phitthaya Longkorn Primary School and Bangpakong Bovorn Witthayayon Secondary School, as SEAMEO SPAFA has been associated with both schools in their mangrove conservation education by supporting a Mangrove Eco-museum Project and promoting mangrove education teaching materials. SEAMEO SPAFA is an international organization dedicated to promoting co-operation in education, science and culture in Southeast Asia. (3) to establish working group to examine the areas of collaboration and collective interest. The study visit on 9 September 2015 began at Bangpakong Bovorn Witthayayon School, a secondary school which is located in Bang Pakong. The participants walked arround the mangrove study area after a welcome speech by Mr. Sakdetch Jumanee, Director of the school. Bangpakong Bovorn Witthayayon School is situated in a mangrove environment, covering eleven hectares of land and mangroves. Today this school provides education to about eight hundred school children and hires some eighty teachers. 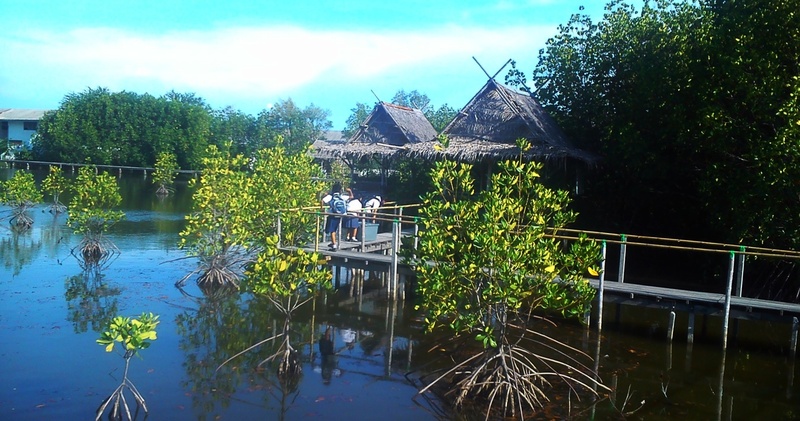 SEAMEO SAPAFA began collaboration with this school in 2006 to help develop its Mangrove Eco - Museum project by improving the school curriculum using the mangrove as the nature and cultural learning centre. 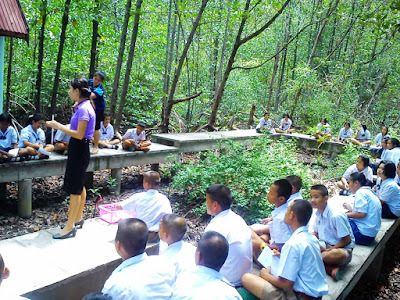 The assistance includes creating and installing informational signs in Thai and English languages and collaborating with the school in organising a regional workshops in 2007 on making mangrove eco-museum. The outcome of the Mangrove Eco-Museum Project is to infuse environmental subject matter and mangrove conservation issues in the classroom lessons to cultivate students’ awarness and good environmental practices. The school has made effective use of its natural mangrove as a learning area for students, and also facilitated frequent study visits from other schools and institutions for environmental awareness raising. After lunch the study visit continued to Khlong Phitthaya Longkorn, a primary school located in Bang Khun Tien District, under the Bangkok Metropolitan Administration (BMA). 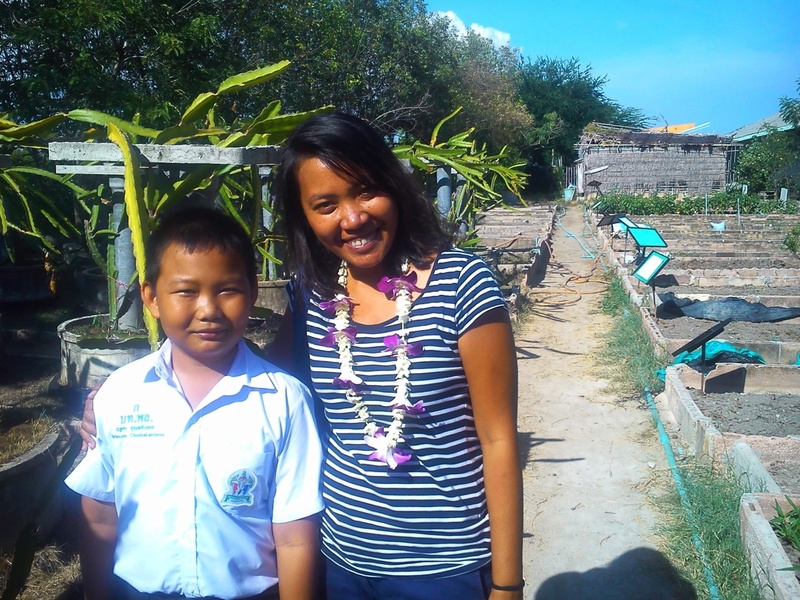 It is unique in the fact that it’s the only school in Bangkok with mangroves. As study tour participants arrived at the school they were welcomed by the student’s performance of traditional music and dancing, followed by the introductory remarks delivered by Director of Bang Khun Thien District. After having enjoyed some traditional snacks prepared by the students, participants were guided to visit the mangrove study area, students’ environmental conservation activites booths, and the organic vegetable project site. Khlong Phittaya Longkorn School is set in natural environment that includes mangroves. (D) Important to instill values education concerned with environmental protection at a young age to follow them to adult. MAP welcomes this new partnership with SEAMEO SPAFA with the hope MAP’s own Marvelous Mangrove school curriculum can be utilized by selected schools with the mutual goal of increasing mangrove conservation awareness among students in the Southeast Asia Region. 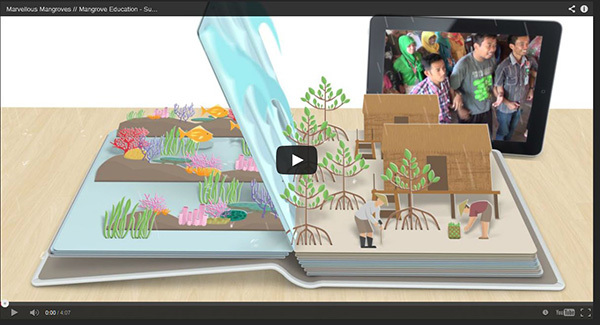 USA - Please watch MAP's new short video called Think Mangrove Forests, which has been entered into a video competition held by Center for International Forestry Research (CIFOR). In ‘Think Mangrove Forests’, Leo Thom, Alfredo Quarto, Jim Enright and Martin Keeley tell the story of why we need mangroves, how they are under threat, and what we can do to protect them. 1. If you like our video, scroll down and write a comment in the box that says "Join the discussion..."
3. Scroll back up to the video and use the social media icons to share the video with friends, family and colleagues. Please click this link to watch the video and follow with your vote! 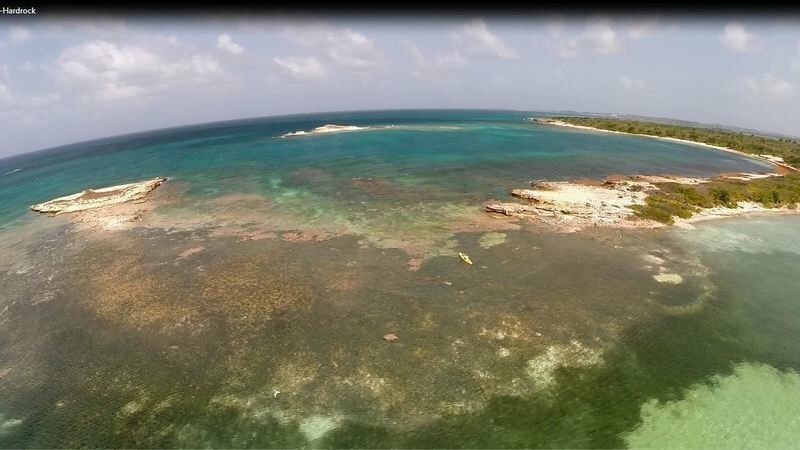 Singapore is dredging our home away: hands off our sand! MAP members collaborate on text book. MAP extends a warm welcome to our newest intern – Welcome Tina! Let me introduce myself. I am the new intern in the MAP Thailand and just arrived here in Trang. My name is Mery Christina (you can call me Tina), I come from Indonesia. Recently I just finished my job for two years at a Disaster Risk Reduction Program of Mercy Corps for 2 villages that is prone to flood in West Java Indonesia. I have dealt with infrastructure projects such as evacuation path construction, river dredging construction, small scale organic farming setup; and organizing several capacity building for communities such as water rescue training, Disaster Risk Reduction Capacity Building and organizational skills training and etc. As working with Mangrove projects is the first time for me, I hope that I could contibute and learn much by being an intern here in MAP.